In the world of cosmetics products, there are so many different types of makeup out there. It’s understandable why it can be difficult to keep track of which products do what, which products are right for your skin type, and which products you should use with each other! 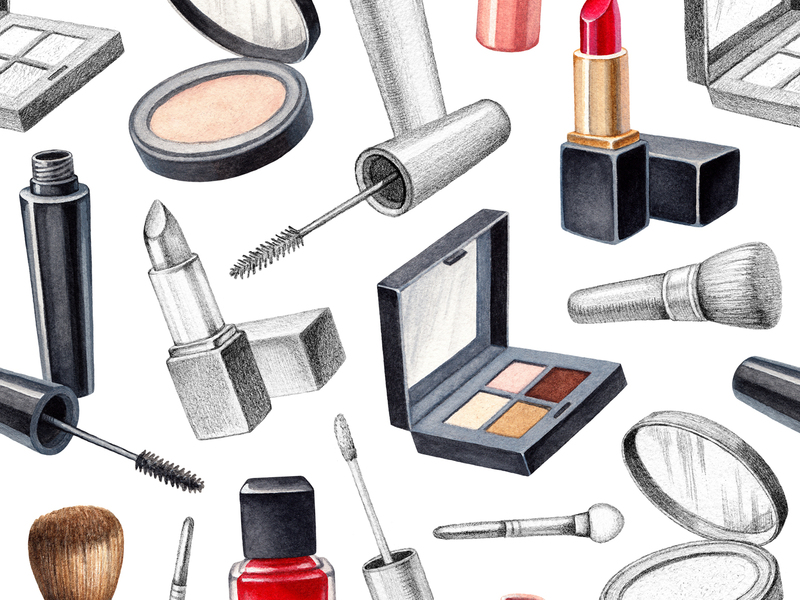 That’s why we created this comprehensive makeup guide to explain what different products do, how to use makeup products, and which ones might be right for you. 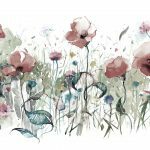 Keep reading to discover more about everyday makeup, and to learn about our favorite, natural makeup products. Face coverage products help to even your skin tone, conceal blemishes, and perfect the appearance of your skin. While most women use foundation for face coverage, there are plenty of other products out there that can help you achieve an even, flawless look. Face primer can play several important roles in your makeup routine. Primers form a smooth, even coating over the skin, helping your makeup glide onto your face without caking. It can also help prevent foundation from sinking into skin and clogging your pores. Primers also help your makeup last throughout the day without forming visible creases. Some have even more benefits, like hydrating your skin or adding a bit of glow. They can double as an eye primer too to prep your eyelids for makeup. One of our favorite primers is 100% Pure’s Mattifying Primer, which helps to reduce the appearance of oiliness and keep your face looking fresh throughout the day. This formula uses seaweed collagen to plump your skin, giving it a healthy texture. We also love 100% Pure’s Luminous Primer, which uses reflective pigments to suffuse your skin with a radiant glow. Like most primers, these products are pretty low-maintenance when it comes to application. Just apply a thin layer to clean, moisturized skin, wait a minute, then follow up with your makeup product of choice. Consider using primer if you have dry skin or an uneven skin tone, or if you simply want your makeup to last longer. If you don’t want to use a full-coverage foundation product on your skin, you can choose to wear primer on its own for a subtle skin boost. Foundation, BB cream, and CC cream are pigmented products that are designed to perfect your skin’s appearance. People have been wearing foundation-like products for centuries, with all kinds of strange ingredients. One popular product in the early Victorian era contained spermaceti, an organ that comes from the head of a sperm whale. Luckily, today it’s fairly easy to find face coverage products that are made with natural, cruelty-free ingredients. They can come as liquids, creams, or powders. You’ll get the fullest possible coverage from foundation, and lighter coverage from BB cream and CC cream. Many BB and CC cream products are buildable, though. You’ll be able to adjust the amount of coverage as needed by applying multiple layers to your skin. We adore Plane Jane Beauty’s Creme Minerals liquid foundation, which comes in a whopping fifteen different shades to suit various skin tones. This foundation is made with 85% organic materials, and contains vitamins and minerals to nourish your skin while it blurs away imperfections. If you’re looking for lighter coverage, consider Pacifica’s Alight Multi-Mineral BB Cream. This buildable BB cream helps to hydrate your skin with floral stem cells and coconut water, delivering a flawless, natural look. Check out more of our top natural foundation picks for every skin type. Concealers are generally alone or as a supplement to foundation in order to cover up imperfections. It can also be used to cover up dark circles, to brighten certain areas, and to help contour your face. Our favorite concealer product is RMS Beauty’s “Un” Cover-up concealer, which helps to heal and hydrate skin even as it masks imperfections—making it an excellent option for acneic skin. If you want to cover up problem areas without having to apply ten thousand coats of foundation to your entire face, consider a concealer for smarter spot coverage. Discover the best concealers that provide flawless coverage and help heal acne too. A setting powder or spray can be the perfect conclusion to your face makeup routine, as they help to absorb oil and maintain a matte, finished look throughout the day. Many setting products can also be used alone in order to control oil and provide minimal coverage. 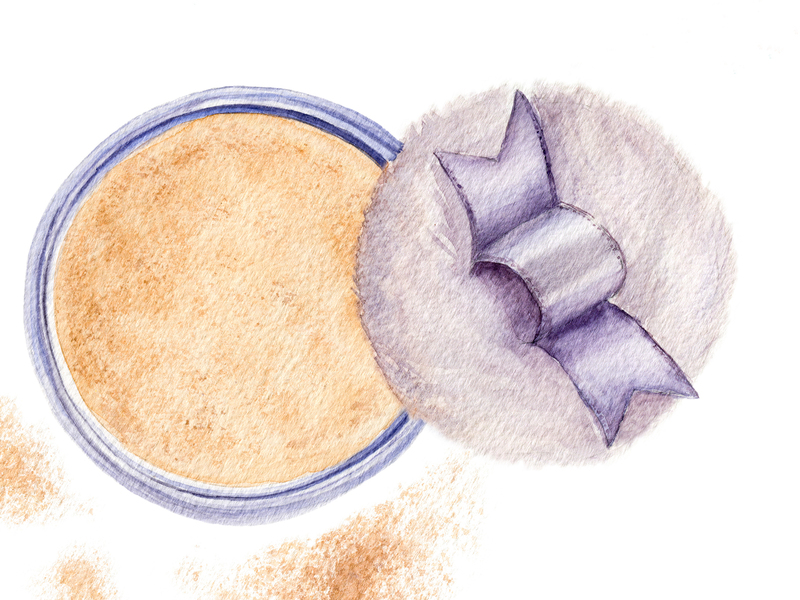 We love 100% Pure’s Bamboo Blur Powder, which is made from bamboo silica and natural fruit pigments. While setting powder may seem like overkill for everyday use, it’s a must when it comes to long nights out. The face powder will prevent your makeup from becoming oily or cakey throughout the night, keeping you photo-ready at all times. They say the eyes are the window to the soul—and maybe that’s why there are so many different products out there to help you draw attention to your eyes. Eye makeup is mind-blowingly versatile, and can be used to achieve an array of different looks. Eyeshadow is generally used to add the appearance of depth and dimension to your eye socket, making your eyes pop. You can also use eyeshadow to draw attention to your unique eye color and shape. 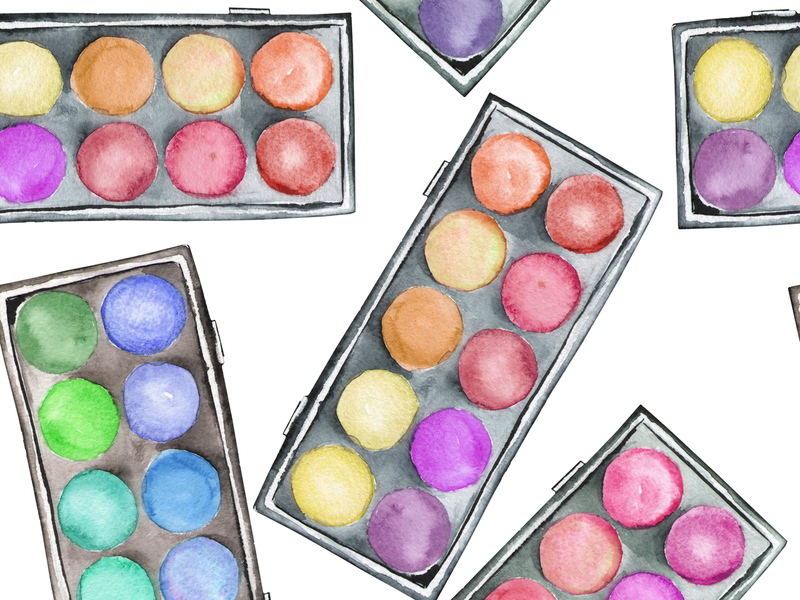 There are hundreds of beautiful eyeshadow colors out there, but we recommend sticking to products with non-toxic formulas so you aren’t aging your eye area. One of our favorite products is Hush + Dotti’s Natural Eyeshadow, which comes in 18 different shades. Eyeliner helps to define your eye area and emphasize the shape of your eyes. Different eyeliner techniques, like the classic cat eye, can help you achieve unique effects and add something special to your look. There are several different kinds of eyeliner products out there, and they help you achieve different effects. Liquid liners are perfect for precision, while pencil and paint pot liners can give you the freedom to create blurring and smudging effects. We’re obsessed with the Zuzu Luxe Liquid Eyeliner, which features a calligraphy tip for super-precise application. To make this product even better, it comes in 8 different shades to help you express your style. Many women consider mascara to be one of the most important makeup products they own. Even those of us who like to keep it simple makeup-wise will often opt for a mascara to enhance our lashes. Mascara products are used to coat the eyelashes with dark pigment, making them appear longer, thicker, or darker. You can use an eyelash curler first for extra vavoom. Some people may not be aware that mascara has an extremely short shelf life compared to other beauty products. Makeup experts recommend that you get a new mascara after two to three months of use. This is doubly important because mascara is applied so close to the eyes: The longer you use a tube of mascara, the more bacteria accumulates inside of it, increasing your risk of getting an eye infection. We’re crushing on W3ll People’s Expressionist Mascara, which has been featured in Allure and Elle. This option is much more affordable than luxury beauty brands’ mascaras, and it achieves bold results while relying on natural ingredients instead of harmful chemicals. It’s pretty much a dream come true! Find more options with natural formulas here. These products are generally used to fill in sparse patches in your eyebrows, reshape them, or add dimension and pigment. Bold brows are still going strong in the fashion world, and it’s no wonder why: your eyebrows help frame and define the rest of your face. So by enhancing your brows, you can complement your facial structure and draw attention to your assets. There are many options out there when it comes to eyebrow makeup, but our favorite is Kimiko’s Super Fine Eyebrow Pencil. This product has become a cult favorite due to its easy application, precision, and natural look. The pencil is double-ended, and features a spoolie brush on one end to help you blend and fine-tune your look. Like the eyes, the lips are a focal point of the face that can be enhanced using different pigments. Lip makeup products help to draw attention to your lips, making them appear bolder, brighter, and plumper. Think of lipstick as your go-to when it comes to getting the maximum effect. Lipsticks are the best product out there to enhance your lips, and can also achieve a range of different, secondary effects—from plumping to mattifying. We advise using a lip balm or lip primer first for smooth, lasting application. We recommend Axiology’s line of natural, organic, vegan lipsticks. Axiology’s lipsticks come in a range of gorgeous shades, and feature natural nutrients such as avocado oil, vitamin E oil, and elderberry extract. Lip gloss is a liquid alternative to lipstick. Lip gloss products tend to give your lips a glossier, shinier look—thus the name. Lip glosses are also often easier to re-apply than lipsticks, making them a better option for on-the-go application. 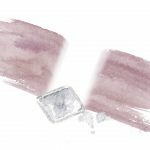 Lip tints are the perfect product for anyone seeking a low-maintenance lip makeup option. Tints tend to be sheer, giving your lips a color boost that looks subtle and natural. They’re also extremely easy to re-apply. Unlike lip stains, they contain more moisturizing ingredients to soften your lips. Lip liners are used to shape and define the outline of your lips, often making them appear larger and bolder. Lip liners are available in pencil and paint forms to suit a range of application styles. Blush is used to lend a dash of pigment to your cheeks, making your skin appear healthy and lively. 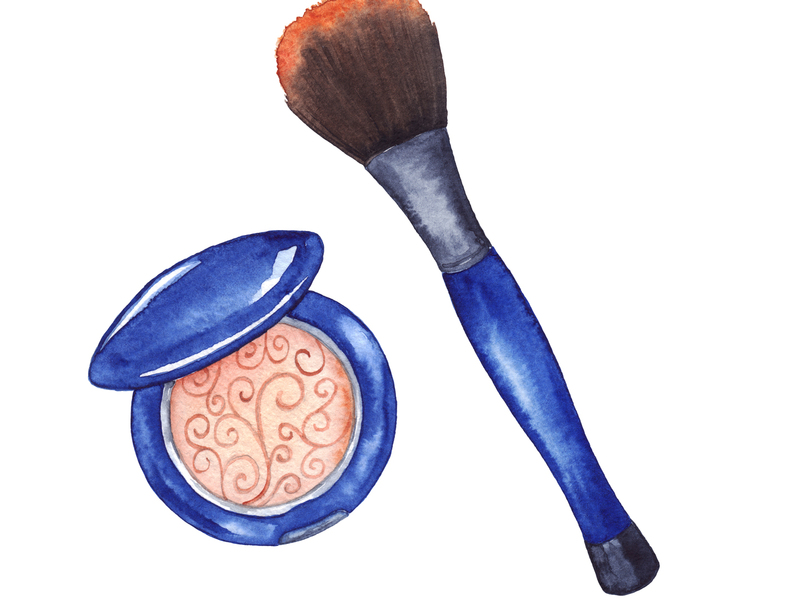 Blushes can also help to lend your skin a dewy, glowy radiance. There are many different forms of blush out there, from powders to liquids, but our favorite is Olio E Osso’s Balm for cheeks, which features super easy application and a wide range of colors. They can also be used on your lips. Contouring products are used to create the illusion of sharper, stronger bone structure. By contouring, you can bring out your cheekbones, slim down the appearance of your nose, and achieve other handy effects. Techniques will vary based on your face shape. Highlighter is a must when it comes to contouring the face. Highlighter products reflect light, literally highlighting the parts of your face that you want to draw attention to—like your cheekbones, brow bones, and cupid’s bow. We love RMS Beauty’s Living Luminizer, the perfect all-around highlighter. This product features coconut oil and rosemary leaf extract to moisturize your skin while reflecting illuminating key areas of your face. While highlighters increase your skin’s reflection of light, bronzers are dark pigments that absorb light, creating the appearance of shadow. Bronzers are usually used to define the bottoms of the cheekbones, making them look sharper and more dramatic. Bronzers can also help you get the appearance of a healthy tan. We recommend Lily Lolo’s Pressed Bronzer, which features argan oil and jojoba oil to moisturize your skin. You can buy this bronzer in matte or shimmer pigments to achieve the look of your choice. There are so many different types of makeup out there and so many product options. You can make informed decisions about your beauty buys by researching product ingredients and checking that a given product is truly natural or organic. Remember that makeup doesn’t just sit on top of your skin, but can actually be absorbed into your body—so healthier makeup means a healthier you! 9 Natural Makeup Removers that Melt Away Stubborn Eye Makeup: These formulas are effective and also nourishing for the sensitive skin around your eyes. 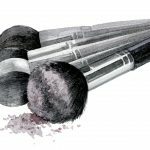 The California Cruelty-Free Cosmetics Act—What It Means for the Beauty Industry: The future of cruelty-free beauty looks bright.